Every time I walk by my friend Zoe’s house, I stop to enjoy the view. . When the weather turns cold enough, she makes beautiful container garden displays using birch logs and other materials. When it’s barren out, it looks lovely and lasts until spring. 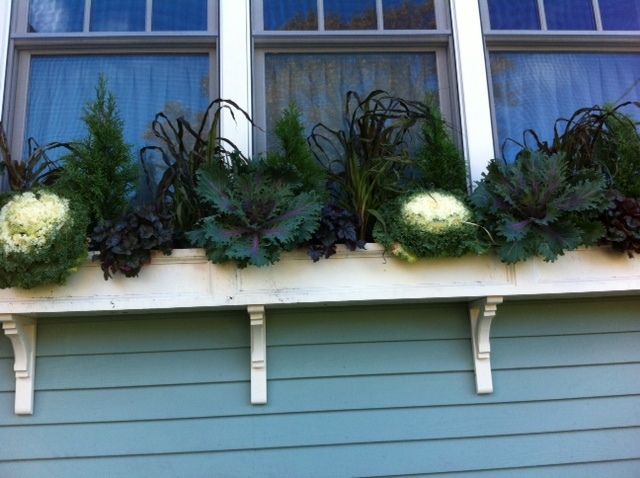 She’s the owner of Fleuri Designs and does the gorgeous window boxes you see in the front of her house. 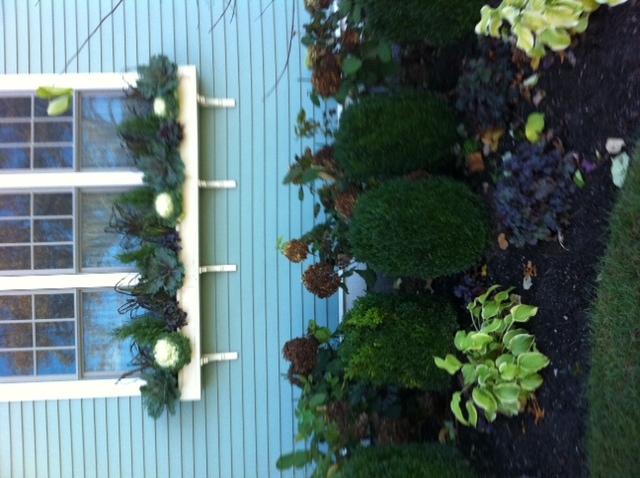 She also does seasonal decorating including holiday wreaths for inside and out and container gardens. 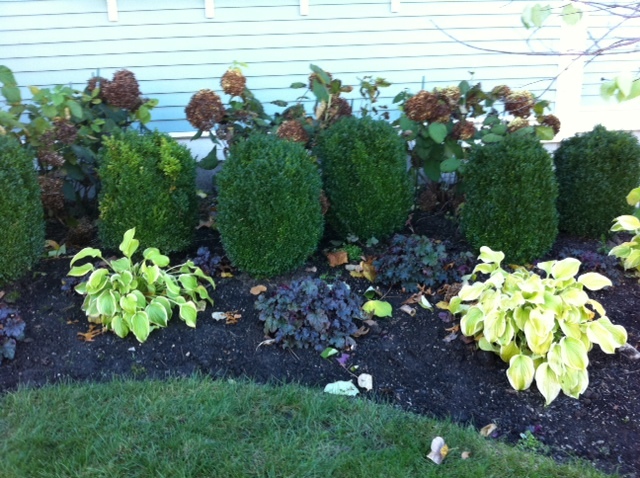 She says she doesn’t do landscape design, but as you can see by her own garden, she’s quite good at it. Perhaps she can be persuaded!